McCormick & Company, Incorporated engages in the manufacture, marketing, and distribution of flavor products and other specialty food products to the food industry worldwide. It operates in two segments, Consumer and Industrial. This dividend champion has increased distributions for the past 25 consecutive years. 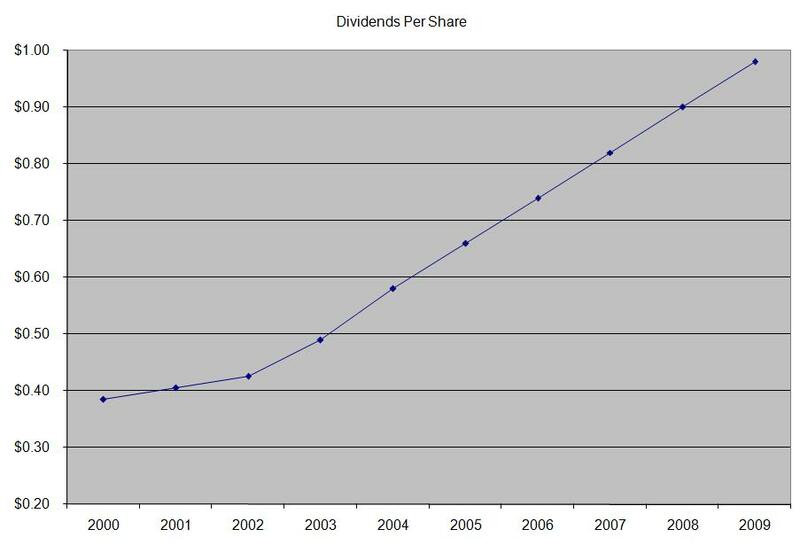 The latest dividend increase was in November 2010, when the company raised distributions by 8% to 28 cents/share. Over the past decade this dividend stock has delivered a negative annualized total return of 13.20% to its shareholders. The company has managed to deliver an average increase in EPS of 9.70% per year since 2000. 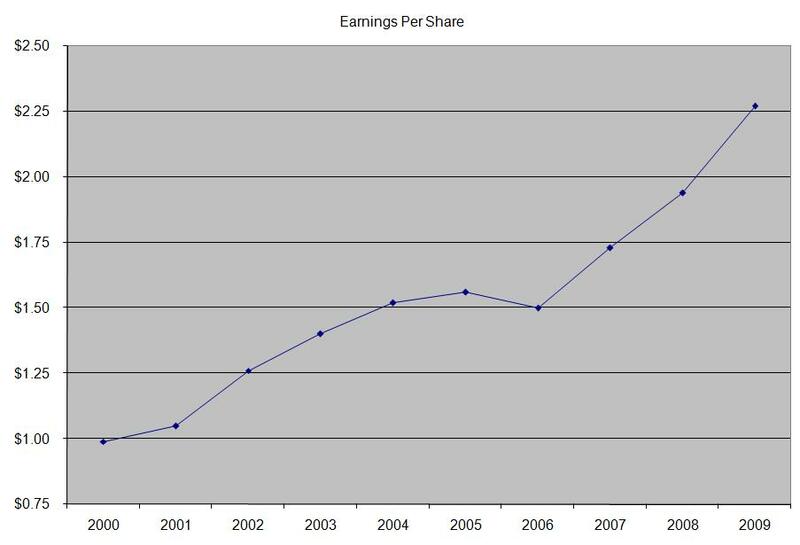 Analysts expect McCormick to earn $2.61 per share in 2010 and $2.82/share in 2011. The company has been active on the acquisition front over the past decade, which has helped it grow, but has been leading to a decrease in return on equity. Almost 60% of sales are derived from the US operations, and the rest is split between Europe and other countries. The largest customers include PepsiCo (PEP) and Wal-Mart (WMT), each accounting for 11% of sales. Besides growth through acquisitions, maintaining and increasing market share comes from innovation. The company needs to innovate and differentiate its product line, in order to deflect private label competition, which could drag margins lower. 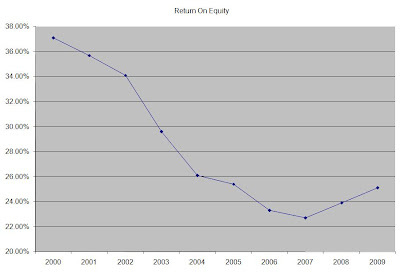 The company’s return on equity has been decreasing almost every year since 2000, although it is still impressive at 25% right now. Rather than focus on absolute values for this indicator, I generally want to see at least a stable return on equity over time. 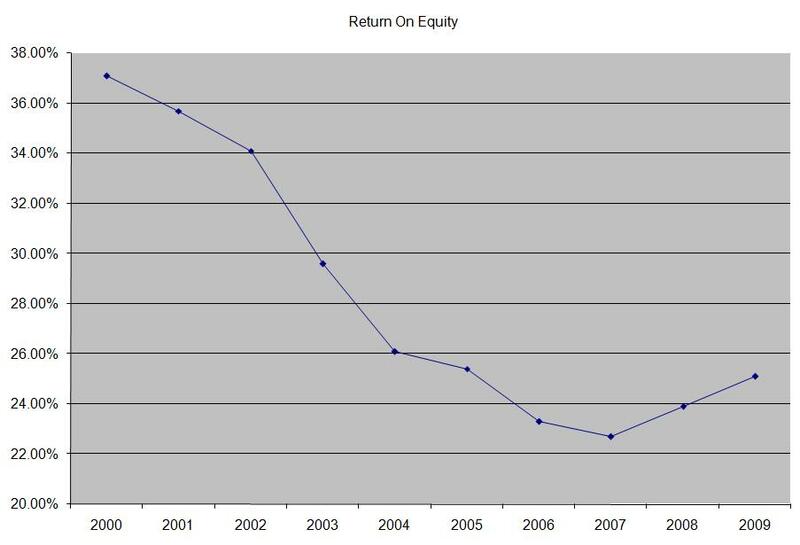 The annual dividend has increased by 10.90% per year since 2000. 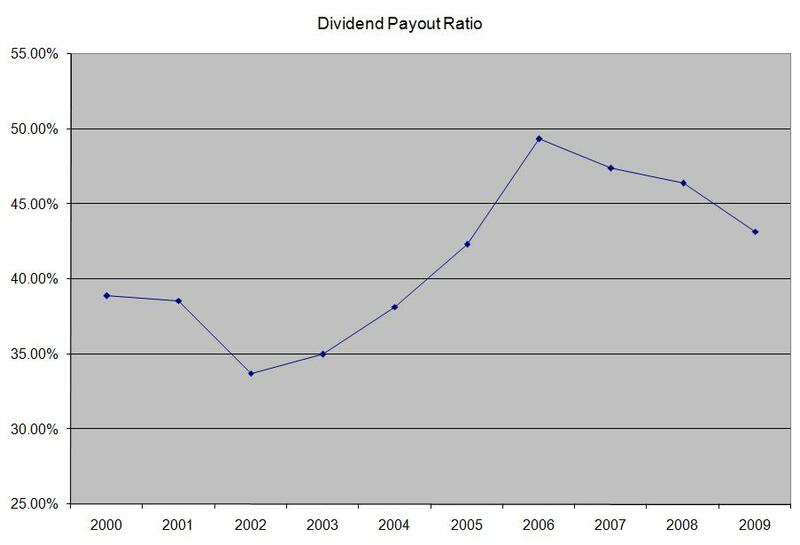 An 11% growth in distributions translates into the dividend payment doubling every six and a half years. If we look at historical data, going as far back as 1988, we would see that McCormick has actually managed to double its dividend payment every five and a half years on average. The dividend payout ratio has increased slightly over the past decade, although it never exceeded 50%. A lower payout is always a plus, since it leaves room for consistent dividend growth minimizing the impact of short-term fluctuations in earnings. Currently, McCormick is attractively valued at 17.60 times earnings, yields 2.50% and has a sustainable dividend payout. I would consider adding to my position in the stock on dips below $44.80.